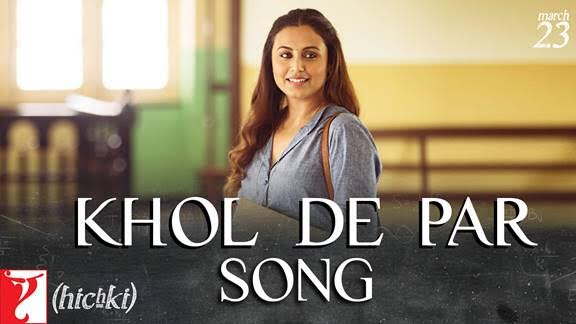 Hichki’s melodious Khol De Par Celebrates the Power to Dream! The latest song from Rani Mukerji’s Hichki celebrates the human spirit to dream. ‘Khol De Par’, a beautiful melody is about courting risks and taking a chance. It’s about tapping into one’s true potential and being fearless about following one’s calling without worrying about judgments and social pressures. Arijit Singh works his magic in this soulful number. Canvassing the scale of the oceans, the sky and our inner voice, this song will inspire you to reach new depths within. With lilting lyrics by Raj Shekhar, ‘Khol De Par‘ ignites the fire in all of us to dream big, follow our dreams and ignite our potential. An innovative and varied musical mix, songs from Hichki offers a sound that appeals to each one of us.